Using polynomial expressions and factoring polynomials. Terms coefficients and exponents in a polynomial. Interesting Polynomial Coefficient Problem. Polynomials1. Polynomials 2. Evaluating a polynomial at a given value. Simplify a polynomial. Adding Polynomials. Example: Adding polynomials with multiple variables. Addition and Subtraction of Polynomials. Adding and Subtracting Polynomials 1. Adding and Subtracting Polynomials 2. Adding and Subtracting Polynomials 3. Subtracting Polynomials. Subtracting polynomials with multiple variables. Adding and subtracting polynomials. Multiplying Monomials. Dividing Monomials. Multiplying and Dividing Monomials 1. Multiplying and Dividing Monomials 2. Multiplying and Dividing Monomials 3. Monomial Greatest Common Factor. Factoring and the Distributive Property. Factoring and the Distributive Property 2. Factoring and the Distributive Property 3. Multiplying Binomials with Radicals. Multiplication of Polynomials. Multiplying Binomials. Multiplying Polynomials1. Multiplying Polynomials 2. Square a Binomial. Special Products of Binomials. Special Polynomials Products 1. Factor polynomials using the GCF. Special Products of Polynomials 1. Special Products of Polynomials 2. Multiplying expressions 0.5. Factoring linear binomials. Multiplying expressions 1. Multiplying Monomials by Polynomials. Multiplying Polynomials. Multiplying Polynomials 3. More multiplying polynomials. Multiplying polynomials. Level 1 multiplying expressions. Polynomial Division. Polynomial divided by monomial. Dividing multivariable polynomial with monomial. Dividing polynomials 1. Dividing polynomials with remainders. Synthetic Division. Synthetic Division Example 2. Why Synthetic Division Works. Factoring Sum of Cubes. Difference of Cubes Factoring. Algebraic Long Division. Algebra II: Simplifying Polynomials. Terms coefficients and exponents in a polynomial. Interesting Polynomial Coefficient Problem. Polynomials1. Polynomials 2. Evaluating a polynomial at a given value. Simplify a polynomial. Adding Polynomials. 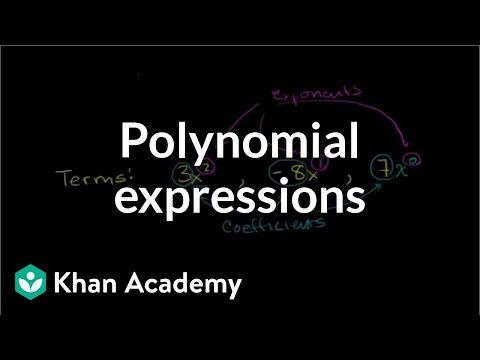 Example: Adding polynomials with multiple variables. Addition and Subtraction of Polynomials. Adding and Subtracting Polynomials 1. Adding and Subtracting Polynomials 2. Adding and Subtracting Polynomials 3. Subtracting Polynomials. Subtracting polynomials with multiple variables. Adding and subtracting polynomials. Multiplying Monomials. Dividing Monomials. Multiplying and Dividing Monomials 1. Multiplying and Dividing Monomials 2. Multiplying and Dividing Monomials 3. Monomial Greatest Common Factor. Factoring and the Distributive Property. Factoring and the Distributive Property 2. Factoring and the Distributive Property 3. Multiplying Binomials with Radicals. Multiplication of Polynomials. Multiplying Binomials. Multiplying Polynomials1. Multiplying Polynomials 2. Square a Binomial. Special Products of Binomials. Special Polynomials Products 1. Factor polynomials using the GCF. Special Products of Polynomials 1. Special Products of Polynomials 2. Multiplying expressions 0.5. Factoring linear binomials. Multiplying expressions 1. Multiplying Monomials by Polynomials. Multiplying Polynomials. Multiplying Polynomials 3. More multiplying polynomials. Multiplying polynomials. 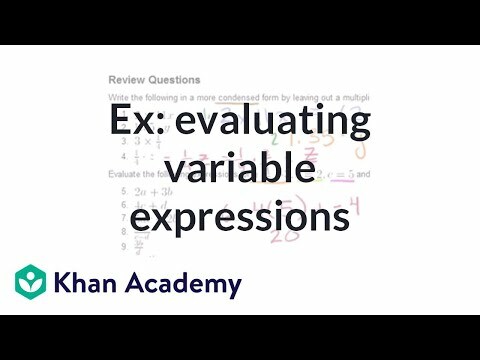 Level 1 multiplying expressions. Polynomial Division. Polynomial divided by monomial. Dividing multivariable polynomial with monomial. Dividing polynomials 1. Dividing polynomials with remainders. Synthetic Division. Synthetic Division Example 2. Why Synthetic Division Works. Factoring Sum of Cubes. Difference of Cubes Factoring. Algebraic Long Division. Algebra II: Simplifying Polynomials. Understanding and solving matrices. Introduction to the matrix. Matrix dimensions. Scalar multiplication. Scalar matrix multiplication. Matrix addition and subtraction. Matrix addition and subtraction. Transpose of a matrix. Matrix transpose. Multiplying a matrix by a column vector. Multiplying a matrix by a vector. Multiplying a matrix by a matrix. Multiplying a matrix by a matrix. Defined and undefined matrix operations. Defined and undefined matrix operations. Matrix multiplication (part 1). Matrix multiplication (part 2). Finding the Determinant of a 2x2 matrix. Determinant of a 2x2 matrix. Inverse of a 2x2 matrix. Idea Behind Inverting a 2x2 Matrix. Inverse of a 2x2 matrix. Matrices to solve a system of equations. Matrices to solve a vector combination problem. Finding the determinant of a 3x3 matrix method 1. Finding the determinant of a 3x3 matrix method 2. Determinant of a 3x3 matrix. Inverting 3x3 part 1: Calculating Matrix of Minors and Cofactor Matrix. Inverting 3x3 part 2: Determinant and Adjugate of a Matrix. Classic video on inverting a 3x3 matrix part 1. Classic video on inverting a 3x3 matrix part 2. Singular Matrices. Inverse of a 3x3 matrix. Matrices: Reduced Row Echelon Form 1. Matrices: Reduced Row Echelon Form 2. Matrices: Reduced Row Echelon Form 3. Introduction to the matrix. Matrix dimensions. Scalar multiplication. Scalar matrix multiplication. Matrix addition and subtraction. Matrix addition and subtraction. Transpose of a matrix. Matrix transpose. Multiplying a matrix by a column vector. Multiplying a matrix by a vector. Multiplying a matrix by a matrix. Multiplying a matrix by a matrix. Defined and undefined matrix operations. Defined and undefined matrix operations. Matrix multiplication (part 1). Matrix multiplication (part 2). Finding the Determinant of a 2x2 matrix. Determinant of a 2x2 matrix. Inverse of a 2x2 matrix. Idea Behind Inverting a 2x2 Matrix. Inverse of a 2x2 matrix. Matrices to solve a system of equations. Matrices to solve a vector combination problem. Finding the determinant of a 3x3 matrix method 1. Finding the determinant of a 3x3 matrix method 2. Determinant of a 3x3 matrix. Inverting 3x3 part 1: Calculating Matrix of Minors and Cofactor Matrix. Inverting 3x3 part 2: Determinant and Adjugate of a Matrix. Classic video on inverting a 3x3 matrix part 1. Classic video on inverting a 3x3 matrix part 2. Singular Matrices. Inverse of a 3x3 matrix. Matrices: Reduced Row Echelon Form 1. Matrices: Reduced Row Echelon Form 2. Matrices: Reduced Row Echelon Form 3. Non-trigonometry pre-calculus topics. Solid understanding of all of the topics in the "Algebra" playlist should make this playlist pretty digestible. 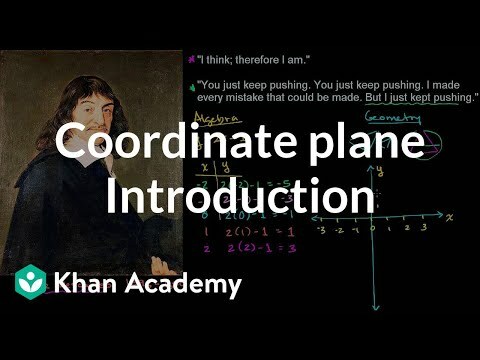 Introduction to Limits (HD). 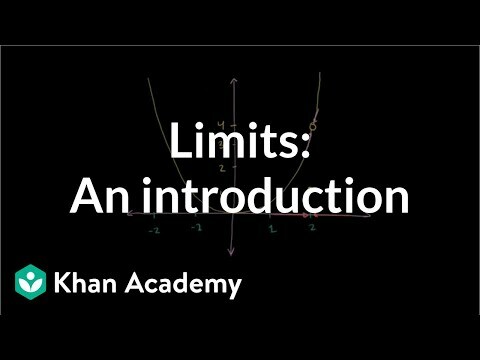 Introduction to Limits. Limit Examples (part 1). Limit Examples (part 2). Limit Examples (part3). Limit Examples w/ brain malfunction on first prob (part 4). Squeeze Theorem. Proof: lim (sin x)/x. More Limits. Sequences and Series (part 1). Sequences and series (part 2). Permutations. Combinations. Binomial Theorem (part 1). Binomial Theorem (part 2). Binomial Theorem (part 3). Introduction to interest. Interest (part 2). Introduction to compound interest and e. Compound Interest and e (part 2). Compound Interest and e (part 3). Compound Interest and e (part 4). Exponential Growth. Polar Coordinates 1. Polar Coordinates 2. Polar Coordinates 3. Parametric Equations 1. Parametric Equations 2. Parametric Equations 3. Parametric Equations 4. 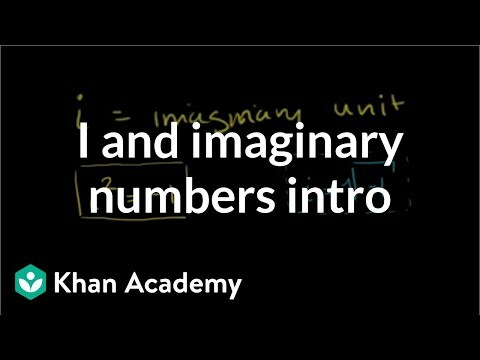 Introduction to Function Inverses. Function Inverse Example 1. Function Inverses Example 2. Function Inverses Example 3. Basic Complex Analysis. Exponential form to find complex roots. Complex Conjugates. Series Sum Example. Complex Determinant Example. 2003 AIME II Problem 8. Logarithmic Scale. Vi and Sal Explore How We Think About Scale. Vi and Sal Talk About the Mysteries of Benford's Law. Benford's Law Explanation (Sequel to Mysteries of Benford's Law). Solving quadratics through factoring, completing the square, graphing, and the quadratic equation. Factoring Quadratic Expressions. Solving Quadratic Equations by Square Roots. Completing the square. Graphing a Quadratic Function. Graphs of Quadratic Functions. Quadratic Functions 3. Quadratic Equations in Standard Form. Quadratic Formula 1. Proof of Quadratic Formula. Complex Roots from the Quadratic Formula. Discriminant for Types of Solutions for a Quadratic. Solving Quadratic Equations by Factoring. Solving Quadratic Equations by Factoring 2. Solving Quadratic Equations by Factoring 3. CA Algebra I: Factoring Quadratics. Solving a quadratic by factoring. Applications Problem Factoring Quadratics. Algebra II: Quadratics and Shifts. Algebra II: Shifting Quadratic Graphs. Completing the Square 1. Completing the Square 3. Completing the Square 2. Completing the Square 4. Completing the Square to Solve Quadratic Equations. CA Algebra I: Completing the Square. Solving Quadratic Equations by Completing the Square. Completing Perfect Square Trinomials. Introduction to the quadratic equation. Quadratic Equation part 2. Quadratic Formula 2. Quadratic Formula 3. CA Algebra I: Quadratic Equation. 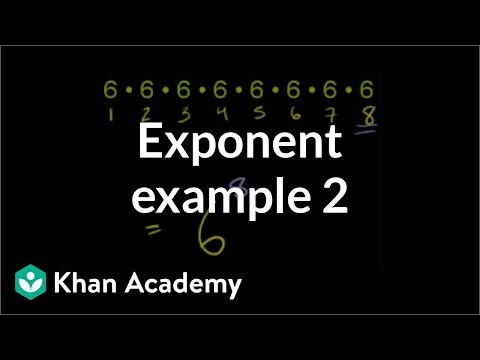 CA Algebra I: Quadratic Roots. Simple Quadratic Equation. Applying the Quadratic Formula. Application Problem with Quadratic Formula. Discriminant of Quadratic Equations. Quadratic Formula (proof). In this topic, we'll analyze, graph and solve quadratic equations. Example 1: Solving a quadratic equation by factoring. Example 2: Solving a quadratic equation by factoring. Example 3: Solving a quadratic equation by factoring. Example 4: Solving a quadratic equation by factoring. Solving quadratics by factoring. Solving quadratics by factoring 2. Solving Quadratic Equations by Square Roots. Example: Solving simple quadratic. Solving quadratics by taking the square root. Solving Quadratic Equations by Completing the Square. Completing the square (old school). Example: Completing perfect square trinomials. Example 1: Completing the square. Example 2: Completing the square. Example 3: Completing the square. Example 4: Completing the square. Example 5: Completing the square. Completing the square 1. Completing the square 2. How to use the Quadratic Formula. Example: Quadratics in standard form. Proof of Quadratic Formula. Example 1: Using the quadratic formula. Example 2: Using the quadratic formula. Example 3: Using the quadratic formula. Example 4: Applying the quadratic formula. Example 5: Using the quadratic formula. Quadratic formula. Example: Complex roots for a quadratic. Quadratic formula with complex solutions. Discriminant of Quadratic Equations. Discriminant for Types of Solutions for a Quadratic. Solutions to quadratic equations. Graphing a parabola with a table of values. Parabola vertex and axis of symmetry. Graphing a parabola by finding the roots and vertex. Finding the vertex of a parabola example. Vertex of a parabola. Multiple examples graphing parabolas using roots and vertices. Graphing a parabola using roots and vertex. Graphing parabolas in standard form. Graphing a parabola in vertex form. Graphing parabolas in vertex form. Graphing parabolas in all forms. Parabola Focus and Directrix 1. Focus and Directrix of a Parabola 2. Using the focus and directrix to find the equation of a parabola. Parabola intuition 3. Quadratic Inequalities. Quadratic Inequalities (Visual Explanation). Solving a quadratic by factoring. CA Algebra I: Factoring Quadratics. Algebra II: Quadratics and Shifts. Examples: Graphing and interpreting quadratics. CA Algebra I: Completing the Square. Introduction to the quadratic equation. Quadratic Equation part 2. Quadratic Formula (proof). CA Algebra I: Quadratic Equation. 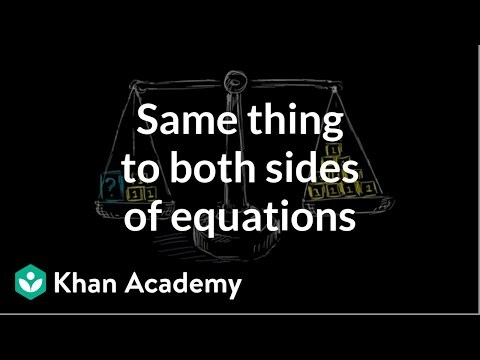 CA Algebra I: Quadratic Roots. Example 1: Solving a quadratic equation by factoring. Example 2: Solving a quadratic equation by factoring. Example 3: Solving a quadratic equation by factoring. Example 4: Solving a quadratic equation by factoring. Solving quadratics by factoring. Solving quadratics by factoring 2. Solving Quadratic Equations by Square Roots. Example: Solving simple quadratic. Solving quadratics by taking the square root. Solving Quadratic Equations by Completing the Square. Completing the square (old school). Example: Completing perfect square trinomials. Example 1: Completing the square. Example 2: Completing the square. Example 3: Completing the square. Example 4: Completing the square. Example 5: Completing the square. Completing the square 1. Completing the square 2. How to use the Quadratic Formula. Example: Quadratics in standard form. Proof of Quadratic Formula. Example 1: Using the quadratic formula. Example 2: Using the quadratic formula. Example 3: Using the quadratic formula. Example 4: Applying the quadratic formula. Example 5: Using the quadratic formula. Quadratic formula. Example: Complex roots for a quadratic. Quadratic formula with complex solutions. Discriminant of Quadratic Equations. Discriminant for Types of Solutions for a Quadratic. Solutions to quadratic equations. Graphing a parabola with a table of values. Parabola vertex and axis of symmetry. Graphing a parabola by finding the roots and vertex. Finding the vertex of a parabola example. Vertex of a parabola. Multiple examples graphing parabolas using roots and vertices. Graphing a parabola using roots and vertex. Graphing parabolas in standard form. Graphing a parabola in vertex form. Graphing parabolas in vertex form. Graphing parabolas in all forms. Parabola Focus and Directrix 1. Focus and Directrix of a Parabola 2. Using the focus and directrix to find the equation of a parabola. Parabola intuition 3. Quadratic Inequalities. Quadratic Inequalities (Visual Explanation). Solving a quadratic by factoring. 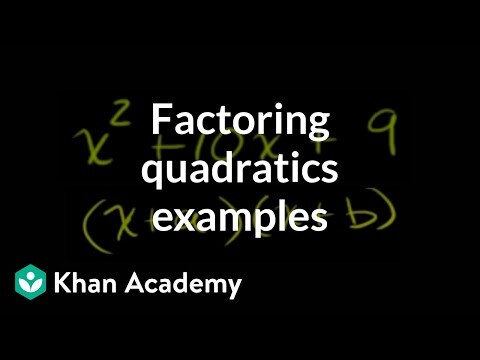 CA Algebra I: Factoring Quadratics. Algebra II: Quadratics and Shifts. Examples: Graphing and interpreting quadratics. CA Algebra I: Completing the Square. Introduction to the quadratic equation. Quadratic Equation part 2. Quadratic Formula (proof). CA Algebra I: Quadratic Equation. 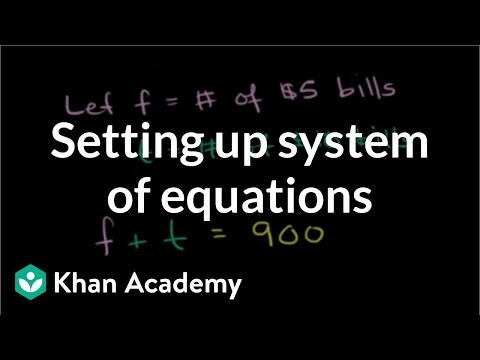 CA Algebra I: Quadratic Roots.